How to avoid leasing delays, extended vacancy and rent losses with faster leasing. Pull out the stopwatch! Your lease just ended and your tenants decided not to renew. This means your most profit-draining phase of the Sacramento property management rental cycle just began. Your profit line is plummeting, but you can turn it around the moment you find a new tenant. The pressure is on, but proceed carefully, or you’ll fall into two of the most common landlord traps. 1. Failure to Perform Necessary Upgrades or Maintenance. Cutting corners may cost you more than the loss of one month’s rent. If both the inside and outside of a rental property are not “rent-ready,” it will diminish the pool of applicants you attract and reduce your chances of finding the most qualified tenant with the lowest risk. Also, tenants take on your tone of property care. If you present it well and take care of it, they will too. This protects the value of your investment long-term. 2. Renting to the First Tenant Who Comes Along. 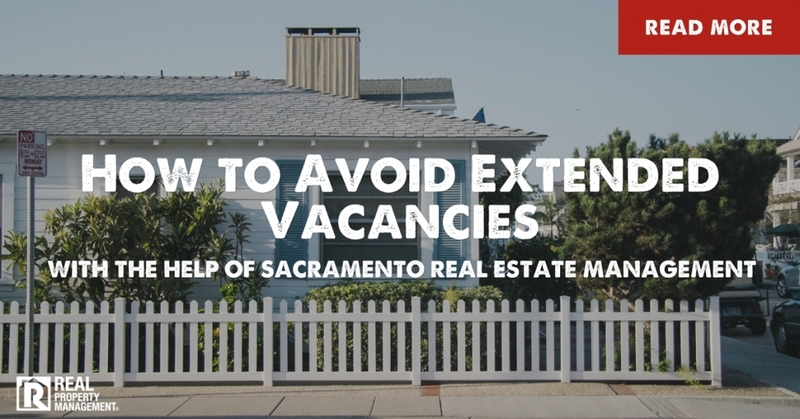 Some landlords and even some Sacramento property management companies do not understand the risks of placing an unscreened tenant in a property. It may be faster to sign a lease with just anyone, but it could also be counterproductive if it means higher turnover. You could have shorter vacancies but more of them, increasing your costs over time. Instead, tenants should be thoroughly screened with multi-point background checks. So file away your leases and practice patience until you find an applicant you can trust. Proceeding with prudence and patience is not always easy when you have many demands on your time and money. Take the pressure off yourself and save both by turning to the experts of Sacramento property management: Real Property Management SAC-METRO. As a full-service industry leader, we specialize in every phase of the rental cycle, including this precarious one of vacancies. Tenant turnover is inevitable, but extended vacancies are not. We’ve developed proven systems to speed up the process, without compromising property value or tenant quality, and we know from 30-years of experience that our system works. Not all Sacramento property management companies can say the same thing. We will help you avoid these and other traps that landlords often say were some of their biggest mistakes. We’ve seen it all and work daily to apply what we’ve learned for your benefit. Call Real Property Management SAC-METRO today.